If diplomacy is the gentle art of saying the most unpleasant things in the most tactful way then Susan Rice is a consummate diplomat. As Barack Obama’s ambassador to the United Nations, Rice is the face and voice of America’s foreign policy whether it is right, wrong or somewhere in between. There is nothing wrong with Congressional oversight over what happened in Benghazi, but the heavy-handed sledgehammer approach McCain and his Mini-Me partner Sen. Lindsay Graham (R-S.C.) have taken seems based upon an opportunity to launch their own attack on the Obama Administration in general and Ambassador Rice specifically. “I don’t trust her,” Graham said about Rice during a Capitol press conference, calling her “more a political operative than she is anything else when it comes to Benghazi.” McCain has said Rice is “not very bright,” an interesting observation coming from the man who chose Sarah Palin as his running mate for vice-president. 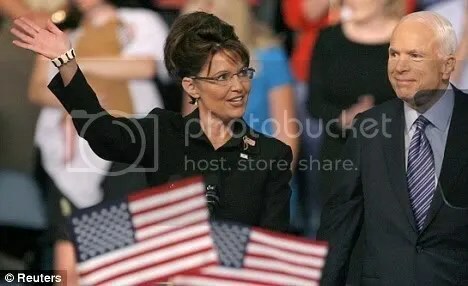 McCain says Susan Rice is “not qualified,” but Sarah Palin was. The increasingly cranky senior senator from Arizona is still bruised by the 2008 presidential election. McCain has never fully healed from his loss to the upstart Obama and has never fully stopped running against him. Backed by the fawning loyalty of the Beltway press, McCain has become one of the president’s most resolute enemies. Chances are McCain has not forgotten nor forgiven Rice for those remarks. The Senate is a club restricted to 100 members and no one senator is first among equals. But if anyone tries to project the persona as “the Senator” it’s McCain. There are 52 weeks in a year. Rachel Maddow reported on her program that in 2012, McCain has appeared on the Sunday talk shows for 21 weeks. The senior senator from Arizona rarely turns down an opportunity to pontificate. 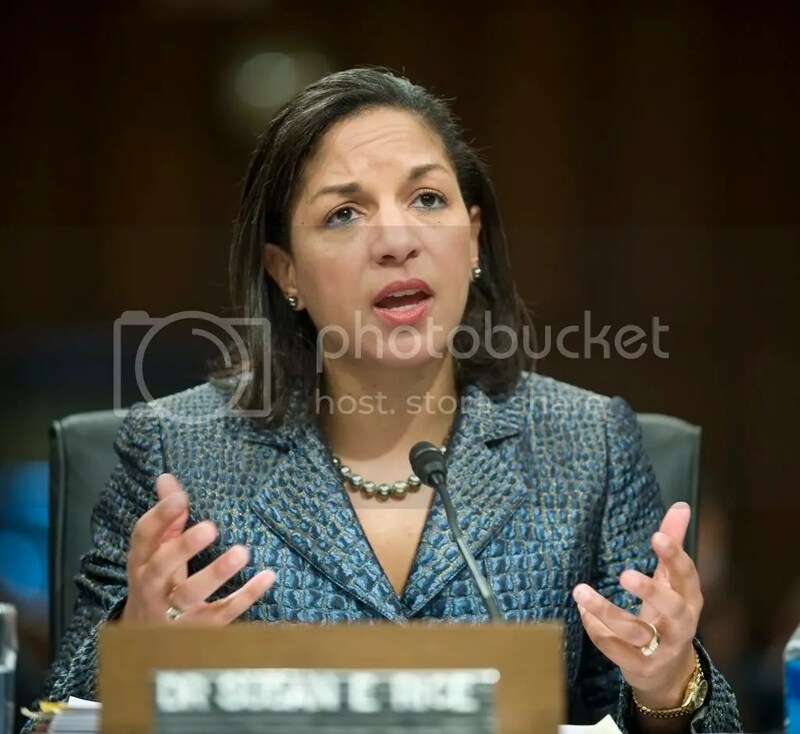 Rice met with the GOP senators leading the opposition, McCain, Graham and Sen. Kelly Ayotte (R-Conn) to discuss their concerns as to the possibility of the president nominating her as Secretary of State. Graham emerged from the meeting unimpressed and broadly hinted Rice was being challenged as pay back for Democratic opposition to John Bolton. The blunt and blustery Bolton was George W. Bush’s recess appointment to the United Nations. Senate Democrats objected to Bolton based upon his confrontational approach to diplomacy. Bush was notorious for appointing activists whose philosophies were in direct opposition to the posts they were filling. When Bolton quipped, “There’s no such thing as the United Nations. If the U.N. secretary building in New York lost 10 stories, it wouldn’t make a bit of difference,” it was apparent he would continue the Bush Administration’s “up yours” approach to foreign countries. The yapping of 97 Republicans will have no effect on whether Obama nominates Rice. In fact, it may have the opposite effect. Obama almost has to nominate Rice or look like he backed down to McCain’s threat. The president respects McCain, but he’s beaten him straight-up. McCain has to defer to Obama’s authority, not the other way around. In the aftermath of a long and bruising presidential election, few outside of the Beltway are focused on an partisan fight between the president and one of his defeated rivals. This is simply the opening shot of what appears to be a continuance of the Republican strategy to obstruct Obama at every opportunity. Rice is resigned to the prospect that if nominated, her confirmation process will be a long, tough slog with her opponents determined to make her sweat. Yet even McCain knows it comes down counting the votes and the president’s party picked up seats in the upper chamber. Rice is inevitable as the next Secretary of State and if Republicans still touchy from Obama’s reelection were looking to pick a fight, this looks like a losing one. Will it be Kerry or Rice replacing Clinton?